We inspect the items below and our 440+ items inspection findings are packaged in a narrative computer generated report with photos, in a user friendly format. Internet Ready Inspection Reports: American Inspection Services provides your Home Inspection Report securely on the internet so it can be viewed, printed or forwarded as a link fast and easily (not like a big, bulky and slow PDF attachment file). Your report will be at your fingertips from anywhere in the world! We provide our clients with a thorough professional inspection, performed to the NACHI (National Association of Certified Home Inspectors) Standards of Practice. Swimming Pool/Spa: Pool, spa, or hot tub, pumps, electrical, plumbing, filtering, valves, pool light, marcite. Pools and additional AC units are optional charges. Room by Room Review and more. Swimming Pools and Spas can be an enjoyable addition to any home. Not only should the pool equipment be inspected for proper operation, but the equipment should be inspected to ensure it conforms to the proper safety parameters. Safety concerns include, faulty wiring, poorly attached ladders, failing steps, loose railings, dangerous diving boards, and unsafe deck surfaces. In addition, other concerns Pool and Spa concerns include needed repairs or improvements to: pumps and heaters, liners, plumbing problems and more. American Service Inspections can provide you with a pool inspection that will identify safety concerns and proper operation of the pool equipment saving you lot of money on repairs and the aggravation of having a pool that you cannot safely use. Adding a pool inspection to your whole house inspection fee is inexpensive and will be performed by a knowledgeable inspector. Wind mitigation inspections report on the wind resistance features of a home, building or structure. They were developed to save home owners money on their home insurance by crediting them on the features of the home that decrease the amount of damage that may occur during a hurricane or strong windstorm. *Discounts may vary based on your insurance policy. Your agent is best prepared to assist you in determining your eligibility for mitigation credits and discounts. A Wind Mitigation Inspection can help you protect your home from damage caused by severe weather, and save you money on your home insurance. A Florida mandate requires insurance companies to reduce rates for homes that have specific wind mitigation features that make them better equipped to withstand storms. Having a wind mitigation inspection on your home can help you reduce the costs of your insurance premium. Your wind mitigation report will be certified for 5 years after the inspection. Single-family homes and multi-family dwellings may be eligible for the credits and discounts. Mitigation premium discounts are based off of nine different credit points that can only be determined by a certified wind mitigation inspector. Contact your insurance agent or local American Inspection Services for more information. Call American Inspection Services to schedule a certified inspector to perform a wind mitigation inspection on your home. 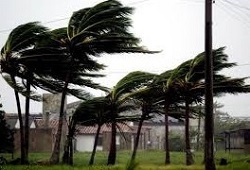 We will inspect, photograph and report the key features of the home that decrease the amount of damage that may occur during a hurricane or strong windstorm. After the inspection, you will receive a report that verifies all of the wind resistant features that will provide insurance credits for your home. Submit this report to your insurance company, who will then give you an estimation of your premium savings. Savings are based on the likeliness of your home incurring costly repairs if faced with a wind storm or hurricane. Are Home Inspections Our Only Business?